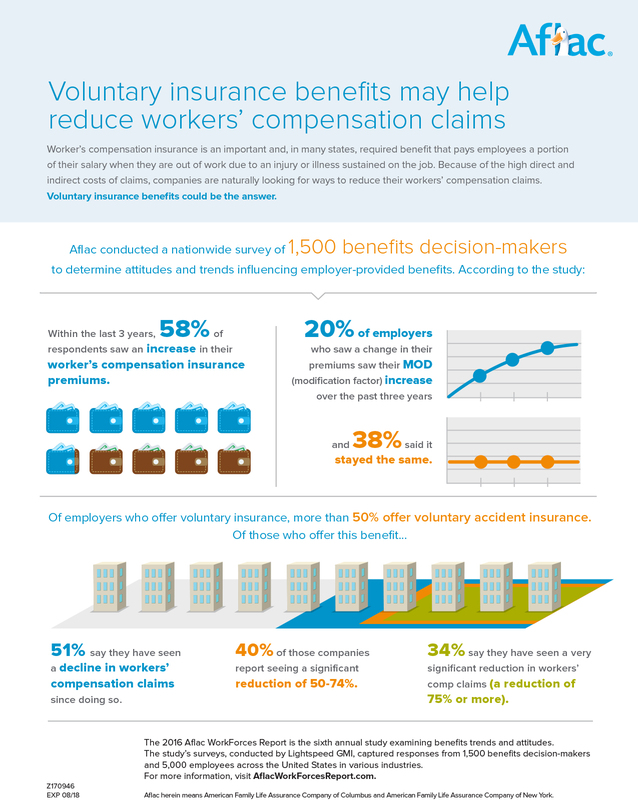 Voluntary insurance benefits may help reduce workers’ compensation claims. Workers’ compensation insurance is an important and, in many states, required benefit that pays employees a portion of their salary when they are out of work due to an injury or illness sustained on the job. Because of the high direct and indirect costs of claims, companies are naturally looking for ways to reduce their workers’ compensation claims. Voluntary insurance benefits could be the answer. Within the last three years, 58% of respondents saw an increase in their workers’ compensation insurance premiums. 20% of employers who saw a change in their premiums saw their MOD (modification factor) increase over the past three years and 38% said it stayed the same. 51% say they have seen a decline in workers’ compensation claims since doing so. 40% of those companies report seeing a significant reduction of 50-74%. 34% say they have seen a very significant reduction in workers’ comp claims (a reduction of 75% or more). 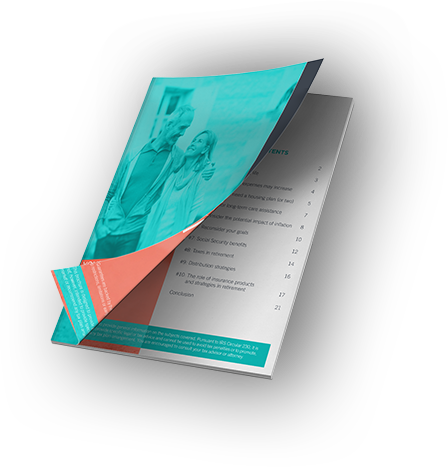 The 2016 Aflac WorkForces Report is the sixth annual study examining benefit trends and attitudes. The study’s surveys, conducted by Lightspeed GMI, captured responses from 1,500 benefits decision-makers and 5,000 employees across the United States in various industries. For more information, visit AflacWorkForcesReport.com. Aflac herein means American Family Life Assurance Company of Columbus and American Life Assurance Company of New York.